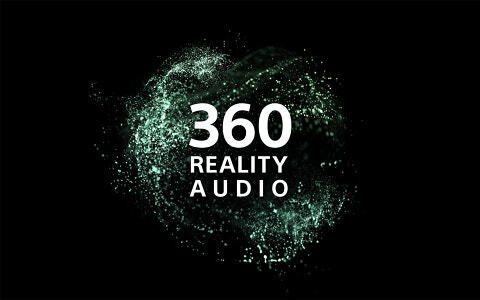 Sony introduces all new 360 Reality Audio powered by Object-Based spatial audio technology. Sony announced an all new music experience called "360 Reality Audio" that makes listeners feel as if they are immersed in sound from all directions. The new experience is delivered by Sony’s object-based spatial audio technology and was announced at CES 2019 in Las Vegas. According to the press release, thew company is working with major music labels, music distribution services and other music organizations to provide the technology for building a musical ecosystem around 360 Reality Audio, which will include the creation, distribution and playing of music content. Meanwhile, Sony is working to promote this new music experience to music creators, artists, and music fans, looking to create an entirely new world of music entertainment. 360 Reality Audio makes it possible for artists and music creators to create a 360-degree musical experience by mapping sound sources such as vocals, chorus and instruments with positional information of distance and angle to suit their creative and artistic purpose. When listeners play back the resulting content, they can enjoy a music experience that immerses them in sound from every direction as intended by the content creator. Sony will provide content creation tools and work with major music labels to prepare and augment music into 360 Reality Audio content. Also, existing music that is already in multitrack sound format will be able to be converted into a 360 Reality Audio compatible format using the production tools that Sony will provide. The company plans to release a format optimized for music distribution. With the cooperation of the Fraunhofer IIS, part of Europe’s largest organization for applied research, the format will be compliant with MPEG-H 3D Audio, an open audio standard. Sony is looking into the potential for a variety of audio devices to support this new music content, but it will initially focus on technological development of Sony’s headphones and loudspeakers. For headphones, a dedicated device will not be needed for the user to play back 360 Reality Audio compatible content and experience a sound field with a realistic feel, however, to deliver the best possible result, it will be necessary to measure the hearing characteristics of the individual user’s ear and apply signal processing accordingly to the reproduced sound. An app is developed, that will enable users to take photos of their own ears with a smartphone, to create an optimized musical experience based on an analysis of the hearing characteristics of user’s ears. Loudspeaker systems which project sound in all directions will be able to reproduce a 360 Reality Audio experience. Other manufacturers’ audio products that support the distribution format from Sony will also be able to play back 360 Reality Audio content. For headphones, in particular, it will be possible to enjoy the content simply by using apps offered by the participating music service providers.